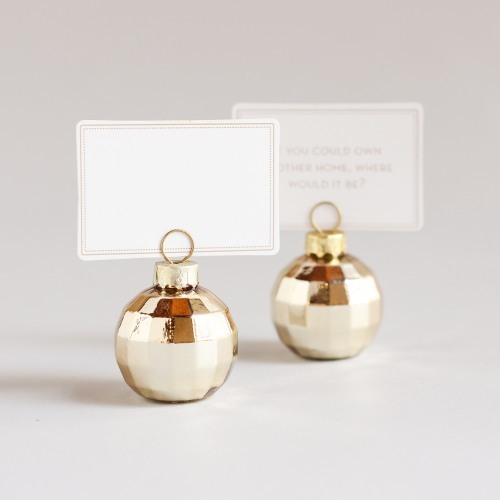 For any holiday party these gold party place card holders are the perfect addition. Each pack contains eight holders as well as 24 blank cards with conversation starters on the back of each place card - perfect for getting guests interacted with one another. Guests can even take theirs home to use as a photo frame.